What is the Mission Statement for NEXUS BYT? NEXUS BYT has a passion to provide an outlet and connection for all youth Years 7-12 in the Bendigo Region to participate, educate, train and perform in the Theatre Arts. Nexus is a branch of the non-profit organisation BBCCI, also known as MAD COW (Make A Difference, Change Our World) and is run by an exceptional collective group of volunteers*. All volunteers give their time willingly and eagerly to ensure the vision of Nexus is met. NEXUS desires... to see the young people from all over the Bendigo Region connect together on a common ground to create ‘community’ and support for one another. NEXUS promotes... a culture of social inclusion and community. We are a family made up of Christian values where everyone is welcome, included and accepted. We aim to develop leadership, self- esteem, friendship and confidence for many teens that are at risk, vulnerable to exclusion and desperately in need of community. We do our best to practice patience, positive attitude, personal initiative, honesty, trustworthiness, tolerance and consideration for the needs of others. NEXUS explores... creativity through a wide variety of dramatic mediums, exposing and training students in every aspect of theatre production. Acting to advertising; choreography to costumes; directing to designing; singing to student leadership, we build and equip student strengths while challenging them to achieve their creative potential. NEXUS strives... to produce a quality experience for students. Aiming for excellence in all areas, our goal is to give students an experience they will never forget; inspiring them to use the skills they have acquired to continue to grow in confidence and be a positive influence as future leaders. MADCOW® is a fresh expression of innovation within the Bendigo and surrounding community. MADCOW® exists to create awareness and show that by helping others and providing positive role modelling, they will be mobilised to change their World. MADCOW® exists to take a stand and fight injustice. We believe the most powerful way to Make A Difference and Change Our World is through the power of positive role modelling. “Young people who through a combination of their stage of life, individual, family and community circumstances and barriers to participation are at risk of not realising their potential to achieve positive life outcomes”. 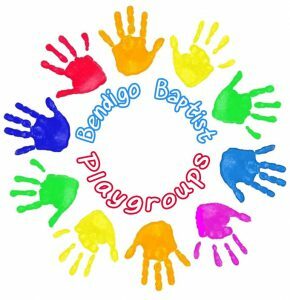 MADCOW® will provide financial capacity to Bendigo Baptist Community Care Inc. to strengthen support around the most vulnerable within our community with an emphasis on youth and young families. MADCOW® will provide people with the tools and strategies to elevate themselves out of their seemingly ‘hopeless’ situations. MADCOW ® will continue to raise awareness and help alleviate hopelessness and despair to the most vulnerable people with an emphasis on youth and young families in the Bendigo and surrounding region. MADCOW is a local Bendigo charity, breaking the cycle of poverty and homelessness. MADCOW® is …..an initiative of Bendigo Baptist Community Care Inc.
MADCOW® Breakfast Club – Serving breakfast to those doing it tough. Every Tuesday at our community hub “Life Essentials” and hungry kids at Eaglehawk Primary School. MADCOW® Free Chow – Hitting the streets with a hearty meal for those living on the street and doing it tough. MADCOW® Café – Scrumptious food at cheap prices in a welcoming environment that provides a space for our Free Chow program. Playgroups – a supportive and caring environment supporting young families. Gilead Counselling – General and family counselling with a Christian perspective. You can also visit our Gilead website for more info. 1HOPE Mentoring – supporting primary school aged children identified as ‘at risk’. While the MAD RIDERS return, Nexus BYT will be joining the Stampede, to walk laps of Lake Weeroona to match the same distance from Bunbury to Bendigo. The Stampede is a great day out, bring your friends and whole family for an enjoyable walk, jog, dance around the lake, do a lap or do ten! It’s all for a great cause, putting an end to homelessness in Bendigo! Funds raised through MADCOW® initiatives go directly into supporting the vulnerable and marginalised within our community with a particular focus on youth and young families. MADCOW ® will also support global poverty projects with the Karen refugees living on the Thai Burma border.